Teacher Educator Institutes(TEIs) use a “train the trainer” model to prepare professional development providers to teach EiE to classroom educators. 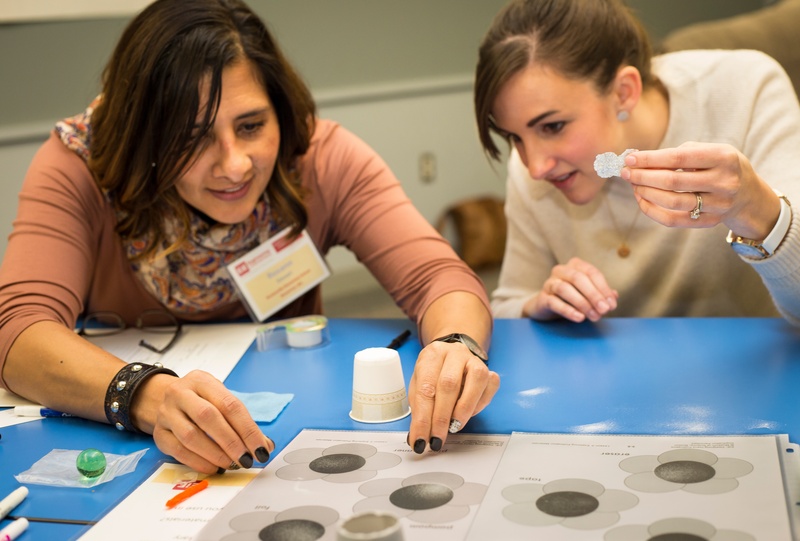 Like all EiE workshops, our Teacher Educator Institute is hands-on and learner-driven. You’ll develop a deep understanding of the pedagogy and structure of the EiE curriculum. And you’ll take away a large collection of valuable resources to help you facilitate your own EiE workshops. This upcoming workshop (May 2 - 4 2018) will be held at the Museum of Science, Boston. If you register before April 17th, you'll receive a $50 discount. At EiE, we believe that a well-designed engineering curriculum develops "engineering habits of mind," or positive strategies for problem solving, that help define success not only in engineering but also across the curriculum. In this one-hour session, you'll build an understanding of how fostering these engineering habits can support student critical thinking and problem solving, and you'll explore how you can continue to support students in applying these ways of thinking. Register now for our free session on April 25th at 4:00 - 5:00 PM EDT! If you’re ready to make a difference in the lives of students and teachers in your district, then we can’t wait to meet you! Sign up for our PD offerings today.